We could all do with a refresher course on how to eat to benefit our health. Mindful eating may be the answer. 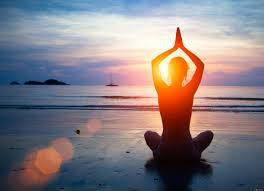 You may have heard of mindfulness or mindfulness training. What is Mindfulness? Mindfulness can be defined as a mental state that focuses on the present as well as an awareness and acceptance of one’s innermost emotions, thoughts and feelings. Similarly mindful eating is eating with intention and attention. Our culture of overconsumption today suffers a binary where diseases such as obesity and diabetes are rife, whilst other eating disorders such as anorexia and bulimia nervousa are hidden. On every corner we see fast food chains selling artery clogging ‘happy meals’ and every editorial is obsessed with the latest fad diet or detox cleanse. It is very easy to become confused with our relationship with food. 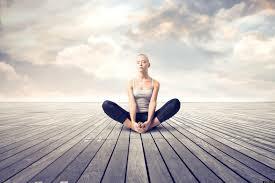 Mindfulness is used as a form of cognitive behavioural therapy and has been successful as a form of treatment for individuals with disordered eating habits and obese individuals. Here are some tips for more mindful eating. Respect your hunger cues. This may seem obvious to some however others find that they often eat out of other reasons, such as boredom, sadness or as an emotional filler for real life problems. This is where mindful eating comes in. With a deeper awareness of our surroundings and inner emotions comes a better ability to address problems at hand a more effective strategy than say ‘eating our feelings’. Eating is often used as a coping mechanism for life’s hardships, this can lead to a disordered relationship with food and in serious cases even obesity. On the other hand, we should not ignore hunger pangs as they come throughout the day. Waiting till you are ravenous can leave you desperate for food and susceptible to making poor food choices and can ultimately mess with your plan to eat more healthfully. Put simply it is best to eat when you are hungry and stop when you are full. This can help make eating a more enjoyable and rewarding experience void of the feelings of guilt and discomfort that are associated with overeating and junk food. Mindful eating can sometimes mean eating more slowly. This way our body has more time to register how much food we are eating before we are too full. Additionally, studies have shown those who spend more time chewing their food achieve a greater level of satiety after their meal. When we slow down we can really focus on what we are doing and what we are eating, this way we may be better able to enjoy every bite of our food, feel full and avoid overeating. In the recent decades the whole culture of food and eating has changed completely, the landscape of the food industry is now run rampant by fast food chains and in some countries even drive throughs. When we take time to carefully prepare our food, and sit down for a meal we may feel more in tune with our hunger and fullness cues. Taking a tip from the practice of mindfulness we may better able to appreciate our food and savour each bite. Eat food that is both optimal for both your enjoyment and health. When you really pay attention to what you are eating you may be better able to focus on food that is enjoyable, balanced, healthy and will leave you satisfied after you finish your meal. Often when we eat processed prepackaged food we may eat what seems to be a lot of food and still be left wanting more, this may be because our body does not feel as though it is getting the nutrients it deserves. However when we eat an abundance of well-balanced, nutrient rich foods our body can feel full and satisfied and less prone to sudden hunger pangs and mood swings. In the long run this can save us from bouts of overeating, binging on unhealthy foods and ultimately leave us free to fuel our body with the energy we need to live life to the fullest. Overall, it is important to take a lesson from mindfulness to make us more appreciative for every moment we are given. When we are swarmed with an army of fast food options at every corner it is important to stop and think where our food comes from before we eat it. 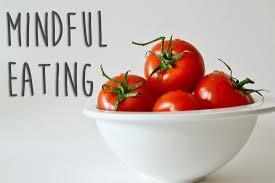 Mindful eating helps us eat more intuitively, feel greater satisfaction and avoid feelings of regret after our meal. When we revolutionise the way we eat, eating instead to nourish our body and mind, we may develop a greater appreciation for our food and be better prepared to tackle the modern day obesity epidemic. For more tips of mindful eating click here or here.